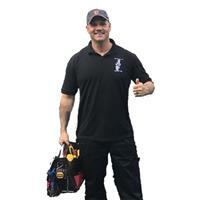 999 Plumber (Newbury) - Home Improvements, Plumber based in Newbury, Berkshire. Book Online 24 Hour Plumbing and Heating Services in Newbury, Covering Thatcham, Hungerford, Great Shefford, Kintbury, Cold Ash, Compton, Chieveley, Lambourn, Headley, Kingsclere, Hermitage, Brimpton, and Highclere. We believe in always being 100% transparent. Our engineers will always show a full breakdown of labour, material and any other charges, and a comprehensive description of work carried out is shown on all invoices and estimates. We do not charge for the following: call out charge, travelling, parking, Congestion and there are no other hidden charges. Our pricing is ‘middle of the road’ but our service is second to none as our customers will testify.